Pawel Pawlikowski’s music-fuelled romance "Cold War" charts two mismatched lovers caught between East and West in 1950s Europe, pianist Wiktor (Tomasz Kot) and singer Zula (Joanna Kuli). Showtimes for movies playing February 15-21 at the Babcock Theater, 2810 Second Ave. N., and Art House Cinema and Pub, 109 N. 30th St. are listed below. THE LEGO MOVIE: THE SECOND PART (PG) continues Friday at the Babcock Theatre. The much-anticipated sequel to the critically acclaimed, global box office phenomenon that started it all, the sequel reunites the heroes of Bricksburg in an all new action-packed adventure to save their beloved city. It's been five years since everything was awesome and the citizens are now facing a huge new threat: LEGO DUPLO invaders from outer space, wrecking everything faster than it can be rebuilt. 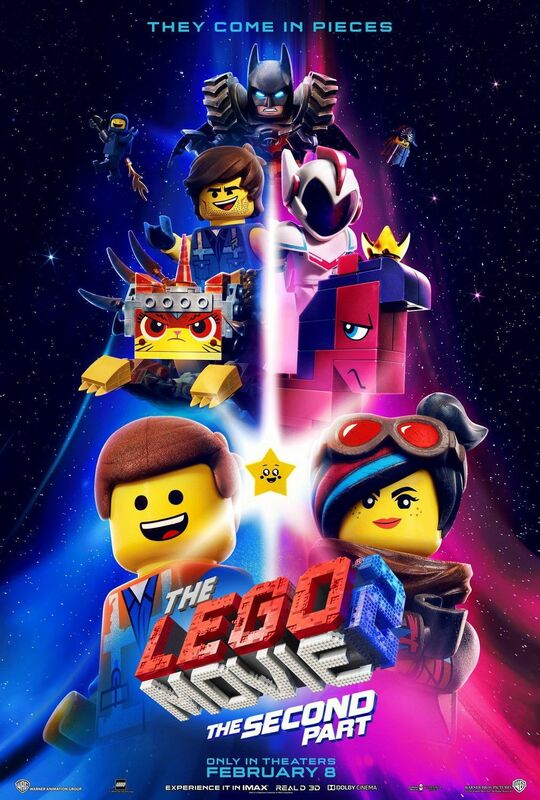 The battle to defeat the invaders and restore harmony to the LEGO universe will take Emmet (Chris Pratt), Lucy (Elizabeth Banks), Batman (Will Arnett) and their friends to faraway, unexplored worlds, including a strange galaxy where everything is a musical. It will test their courage, creativity and Master Building skills, and reveal just how special they really are. Show times: Fri., Mon., Wed., Thurs. 4 p.m. and 7 p.m.; Sat. 1 p.m., 4 p.m. and 7 p.m.; Sun. 3 p.m. and 6 p.m.
Each year, Art House Cinema showcases the OSCAR-NOMINATED SHORT FILMS prior to the Oscar-winning announcements. This year they're breaking the showing into three parts. Part two features the top rated Oscar nominated Animation Shorts. Movie-goers are invited to vote for their favorite. Show times: Fri., Wed., Thurs. 6 p.m.; Sat. 1 p.m., 6 p.m. , Sunday 1 p.m. COLD WAR opens this Friday at Art House Cinema and Pub. Cold War is a passionate love story between a man and a woman who meet in the ruins of post-war Poland. With vastly different backgrounds and temperaments, they are fatefully mismatched and yet condemned to each other. Set against the background of the Cold War in 1950s Poland, Berlin, Yugoslavia and Paris, it's the tale of a couple separated by politics, character flaws and unfortunate twists of fate — an impossible love story in impossible times. Show times: Fri. 3:30 p.m. , 8:30 p.m.; Sat. 3:30 p.m. and 8:30 p.m.; Sun. 3:30 p.m.; Wed. and Thurs. 3:30 p.m. , 8:30 p.m. Ticket prices and more info for both theaters at www.arthousebillings.com or by calling (406) 534-1128.